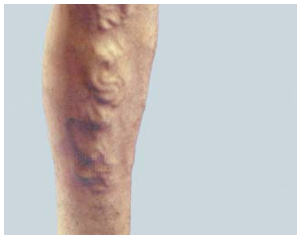 We can help remove the unsightly and painful rope-like varicose veins. After the high pressure has been reduced by the laser closure of the main inner thigh (Great Saphenous) and back of thigh (Small Saphenous) veins, you can be at risk for superficial inflammation and closure of the ropy veins, with severe pain as a result. 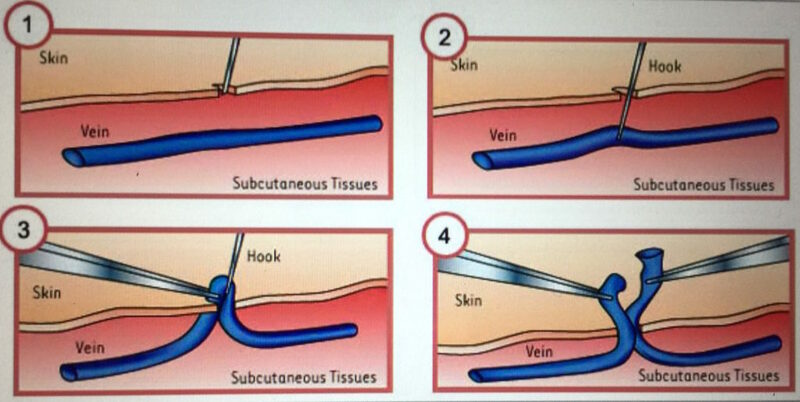 Removing the veins reduces the chance of superficial thrombophlebitis. 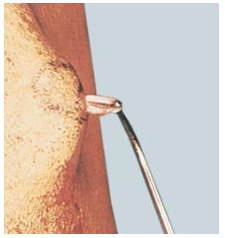 Bulging varicose veins are removed through tiny needle holes using local numbing medication. Treatments take approximately 90 minutes. Cosmesis is excellent as there are only "freckles" left as the needle holes heal. Bruising is common after the procedure. Truly an ambulatory procedure: you can drive yourself to the clinic and to work or home afterwards, with minimal discomfort during and after the procedure. Truly an improvement over the larger multiple incisions that had been the norm in prior years. The veins are carefully and gently removed from your carefully numbed leg. Steristrips and dressings are placed at completion. You can stay active afterwards.